The Supreme Court on Friday asked the Centre for an explanation over a tender floated by Unique Identification Authority of India (UIDAI) for creating a social media wing to counter “negative sentiments” on Aadhaar. 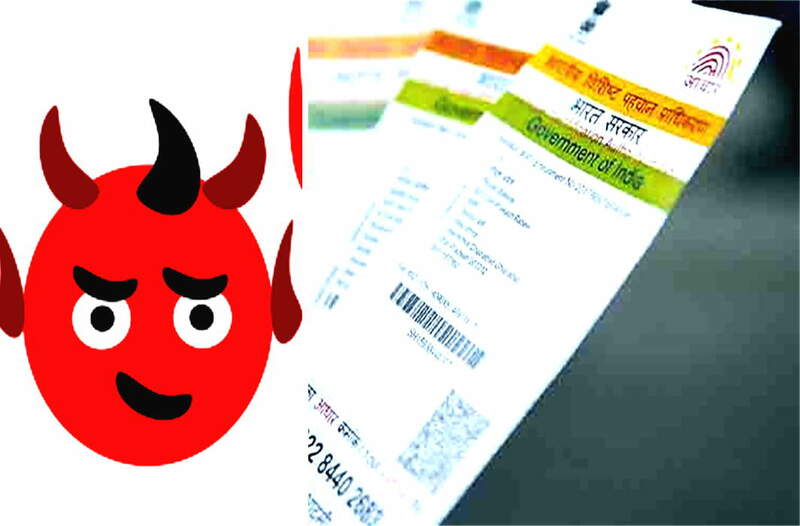 The UIDAI is the government agency which runs the Aadhaar scheme. “You are trying to do indirectly what we told you cannot do directly,” a top court bench headed by CJI Dipak Misraand also comprising Justices AM Khanwilkar and DY Chandrachud observed. The remarks came from Justice Chandrachud, reported the Economic Times (ET). The court said the UIDAI’s proposal to hire a social media agency to monitor social media platforms was contrary to its earlier submissions. “It (monitoring) is directly against the submissions made by the UIDAI during the hearing of the Aadhaar matters,” the bench said, adding that what the UIDAI was proposing was contrary to “what it had argued while seeking validity of Aadhaar”. The UIDAI, during the hearing of a clutch of petitions challenging the validity of the Aadhaar scheme, had told the apex court that it did not want to monitor the online activities of citizens holding Aadhaar cards. The court was hearing a petition moved by a Trinamool Congress (TMC) MLA Mohua Moitra, alleging UIDAI has floated a tender to engage a private agency to track activities of people on social media platforms like Twitter, Facebook, YouTube and GooglePlus. Senior advocate Abhishek Manu Singhvi, representing Ms Moitra, told the court that the matter has serious implications as it infringes on the fundamental right to privacy of citizens, by the UIDAI. Earlier this year, the government had to withdraw an earlier attempt to create a social media hub which would have trawled through social media accounts to give inputs to the government on how to “arouse nationalistic sentiments” and “mould public opinion”. The top court had frowned at the move saying that it was an attempt to create a “surveillance state”. The government had then volunteered to withdraw the proposal inviting bids. Justice DY Chandrachud, who is part of the five-judge Constitution bench headed by Chief Justice Dipak Misra hearing petitions challenging the constitutional validity of Aadhaar, said that the concerned ministry had issued a notification for creating a media hub to monitorcontent but it was withdrawn last month as per an assurance given by the centre to the Supreme Court. Now, Moitra has drawn the court’s attention to the UIDAI inviting a fresh bid to create a social media wing. The wing will carry out online surveillance on people’s reactions to Aadhaar and respond appropriately. The request for proposal (RFP) was floated by the UIDAI on July 18. “This RFP has identical clauses,” Singhvi pointed out to the court. “Despite the fact that the constitutional validity of the entire Aadhaar scheme is under challenge and its fate is to be decided by the top court… the respondents have issued the impugned RFP to identify ‘top detractors’ and ‘neutralise negative sentiments,’” her petition said. “It is therefore clear that the respondents have no respect or regard for the proceedings before this court.” The petition alleged that it was an attempt to infringement of the right to privacy. “Such an intrusive action on the part of the government, is not only without the authority of law, but brazenly infringes on the fundamental right to freedom of speech. Such an action of the government also violates the right of privacy. The UIDAI has decided to go ahead with the proposal despite the fact that a five-judge Constitution bench of the Supreme Court has reserved its verdict on the constitutional validity of Aadhaar scheme,” said Moitra’s petition. The court then sought an explanation from Attorney General KKVenugopal on the UIDAI request for proposal. The court will hear the case again on September 11. The Attorney General for India is requested to assist the court on that day, the bench said.